Robert Grupe is an experienced executive with proven history of market positioning, managing, and selling products and services for market leadership. With over twenty years international experience in aerospace, marketing, software development, and healthcare. 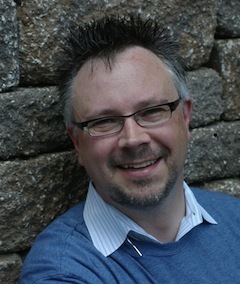 Robert has worked in new product development, operations, sales, marketing, support, and training in the US and Europe. Robert has five computer security patents. He is a registered information security professional (CISSP), secure software lifecycle professional (CSSLP), professional mechanical engineer (PE), and Product Management Professonal (PMP). He has implemented best practice processes and policies for market leadership, cost reduction, and improved efficiencies, and lead an mentored multiple simultaneous project teams using PDLC + SDLC and Agile Scrum methods. "In the 21st century, organizations will be defined and differentiated by their digital interactive product strategy. Those who don't understand this will fade into obsurity." © 2017, Robert Grupe. All rights reserved.